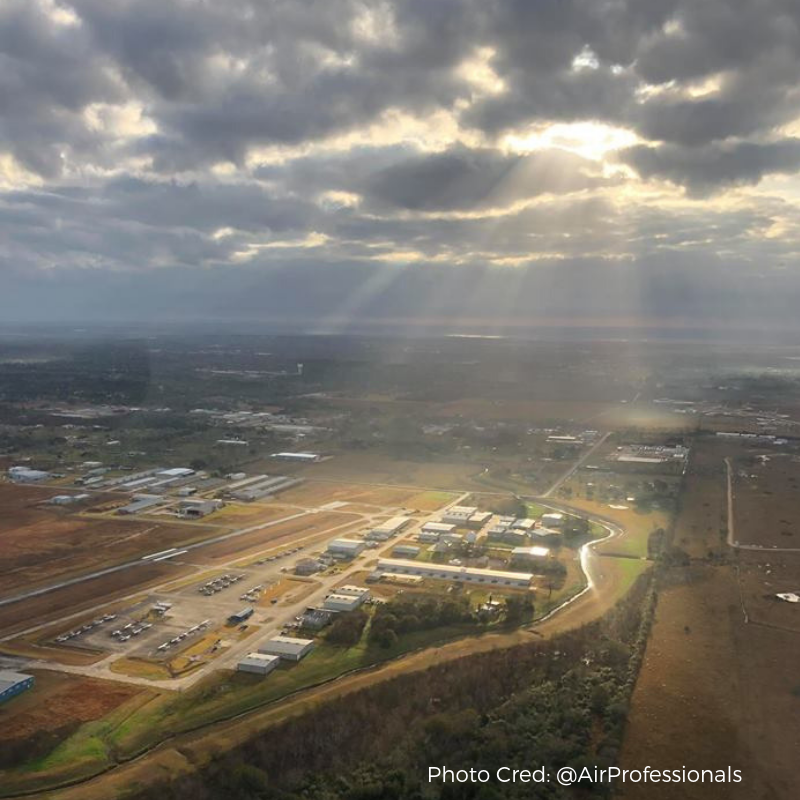 Pearland Regional Airport has seen some major changes in these last few years and we are extremely proud of our efforts and the support given by our amazing community. As we continue to grow and adapt, we are focused on providing meaningful, lasting changes that enhance all business and personal aspects of our day-to-day operations. I want to remind everyone reading this newsletter, that I want to hear your thoughts, suggestions, and comments! Feedback from our community is a driving force for change and the open door policy at KLVJ is in full effect. You can find me at the FBO during the week, and I encourage you to stop by and share your thoughts with me. I often hear the same questions from many folks, and I want to provide an update on one of the most requested items in recent weeks - Online Payment Options. I understand that writing, mailing or dropping off a check every month can be a hassle. Busy schedules could benefit from an online payment method in place. I have heard your requests and I am happy to report that Texas Aviation Partners is working diligently to address this issue. We are thoroughly researching and testing online payment options at this time. We previously used Appfolio for payments, but that system was not a viable long-term option. We made the decision to drop that service and search for a new, permanent solution. I hope to report back soon on our findings! If you have a great idea or a legitimate concern, please take the time to send me and email or come by the FBO and share with us! I may not have a quick answer or solution for every issue, but it is my duty and responsibility to listen to your needs and make necessary changes. 2018 is forecasted to be the best year yet at KLVJ, and you can all do your part to make sure we exceed expectations. This is our home and I want you to know your voices are heard! Thank you for your continued support and I look forward to meeting more of you in the coming months as we discuss ways we can continue to make Pearland Regional into the best GA airport around! Pearland Regional Airport is offering a rare opportunity to own property at a growing, privately-owned airport! There are currently four lots available, ranging in size from 10,300 square feet to 4.8 acres. All lots have direct airfield access and can be developed for private or commercial use. For more information visit our Land for Sale page on our website or download the brochure. Hurricane Harvey made landfall to our south on Friday, August 25th, and proceeded to devastate the entire Texas Coast. In the following days, Harvey dropped an estimated 33 trillion gallons of water along it's record-breaking path. In Houston, we saw catastrophic flooding like never before, but this unprecedented event gave the entire area the chance to come together and show the world what TEXAS is made of - compassion, teamwork, and understanding. Pearland Regional Airport's runway never flooded allowing us to stay open and support recovery efforts. Our Line Technicians spent several days (and nights) in the FBO providing fuel and services to emergency responder and supply missions. Stephen and Trevor went above and beyond the normal call of duty so that we could do our part to support the rescue and recovery efforts...even as Trevor's apartment completely flooded! The effort our team gave shows exactly how dedicated and committed they are. I would like to thank them again for everything they have done and continue to do! We are open for business as usual, and we are ready for the unusual tasks that lay ahead as Houston continues to clean-up and rebuild. We understand that some areas were hit harder than others. I want to reach out to our community and let folks know that we stand together and if there is a way we might be able to assist you, please give the FBO a call! We will do our best to help the recovery process move quickly. Help your neighbor - because we are Texans - and that is what we do. It is just one of the many reasons we are all proud to call KLVJ home! We would like to thank everyone for the outpouring of support during the hurricane. Your help and patience while we worked tirelessly to get things back to normal was greatly appreciated. We were fortunate to have only had minor flooding in a small area. Our team worked hard to get LVJ back to full operations as quickly as possible to help support Pearland and surrounding communities. After the weather subsided, we supported over 50 aircraft for emergency evacuation and supply drop missions. During Hurricane Harvey, we were able to accommodate quite a few aircraft in our community hangar, free of charge. We still have space available if you are looking for a more economical option for aircraft storage. Stop by the FBO for a tour today!